Yeshiva Mercaz HaTorah of Belle Harbor was founded in 1987 by Rabbi Levi Dicker zt”l, a devoted talmid of Rav Aharon Kotler zt’l. 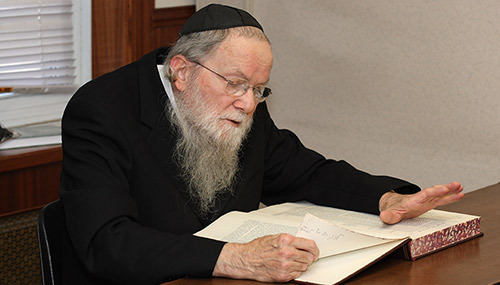 Learning under Rav Aharon for eight years, the Rosh Yeshiva acquired the mesorah that he is dedicated to passing on to generations of bochurim. Yeshiva Mercaz HaTorah has, with great Siyata Dishmaya, blossomed under his care and guidance. The Rosh Yeshiva imparts a passion for Torah and middos tovos through a combination of personal example and inspiring shmuezen. The genuine “varmkeit” which he extends to each and every bochur, as well as his accessibility in the Beis Medrash throughout the day and into the night, ensure that the talmidim develop and retain a profound appreciation for Torah, blended with a genuine simchas hachaim. Through the Rosh Yeshiva’s influence, an entire generation of bochurim has been motivated towards becoming b’nei Torah and talmidei chachamim. and HaRav Shaya Shemanowitz, zt’l. The Rosh HaYeshiva’s keen desire to delve into the depths of Torah, coupled with his sharp intellect ensured his rapid rise in limud haTorah.